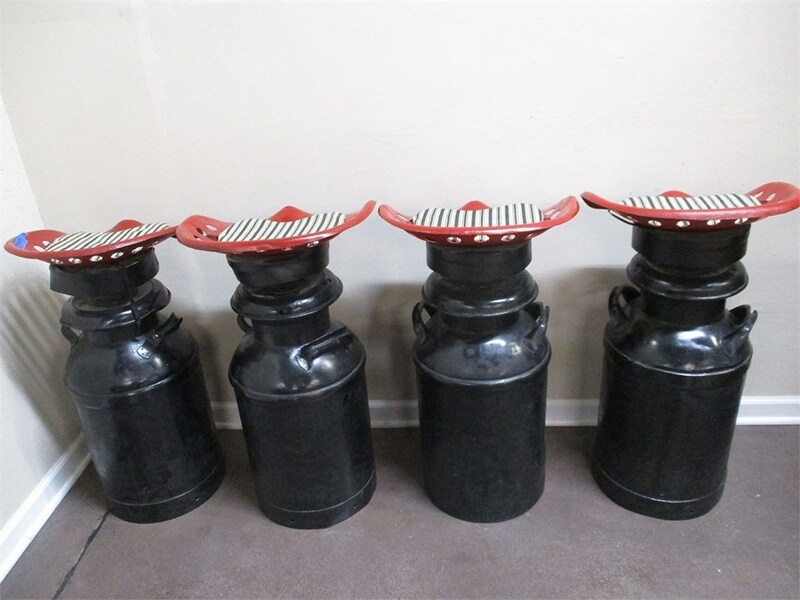 Size 18"W X 14"D X 31.5"H; seat height is 30"
You need these! 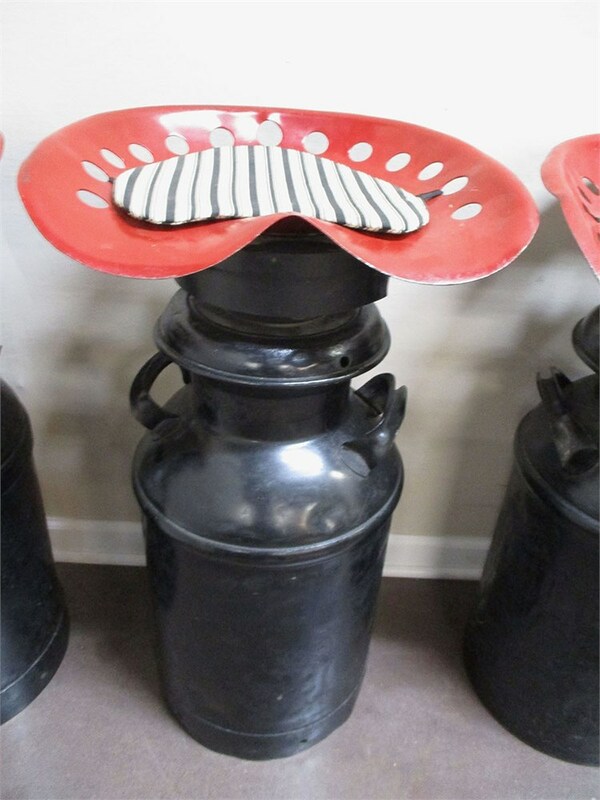 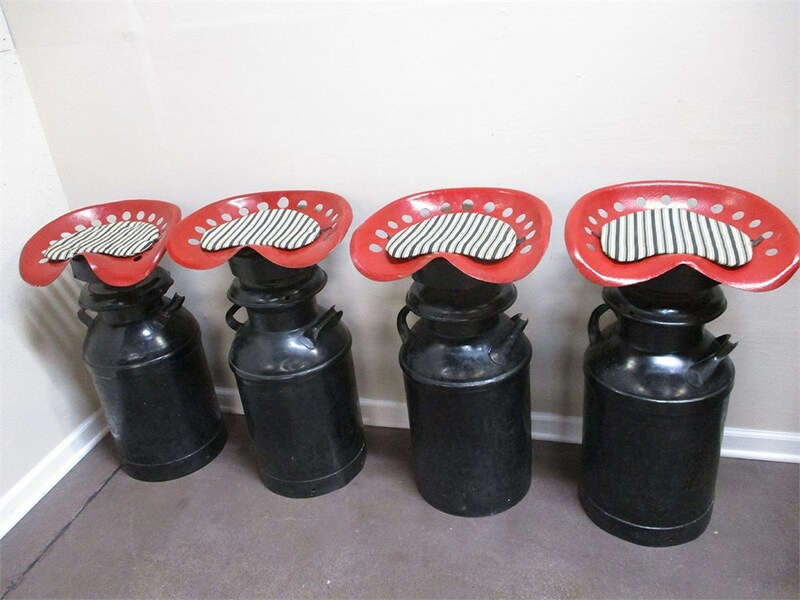 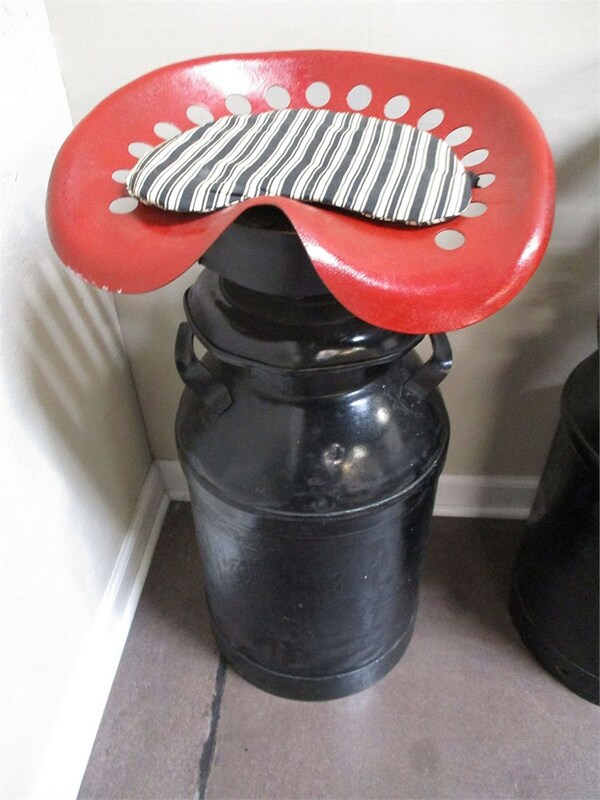 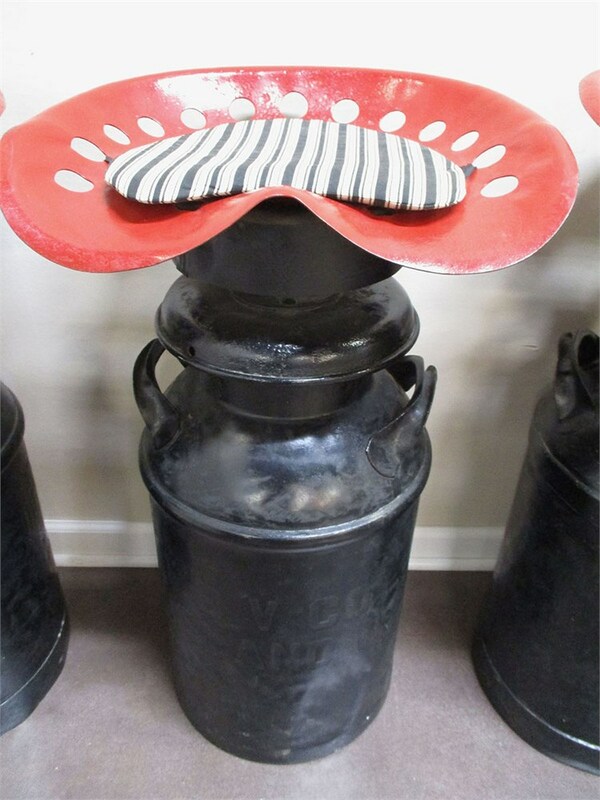 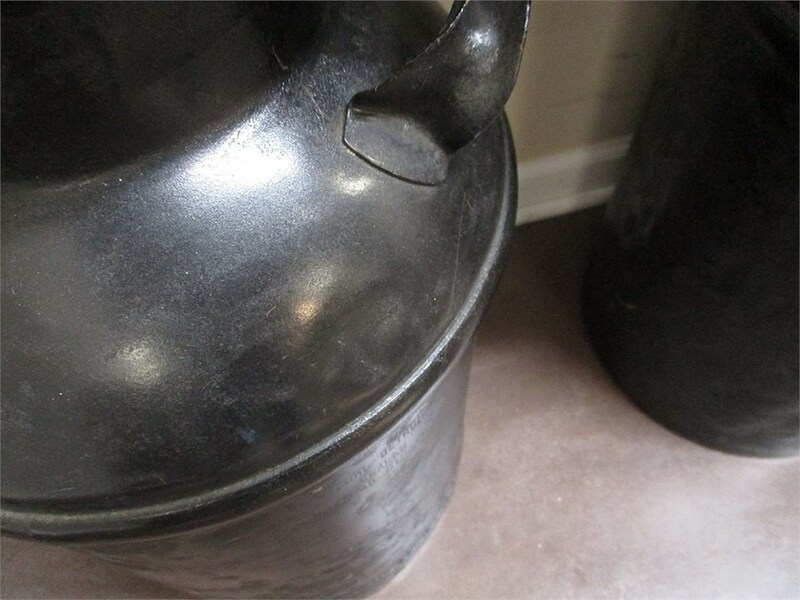 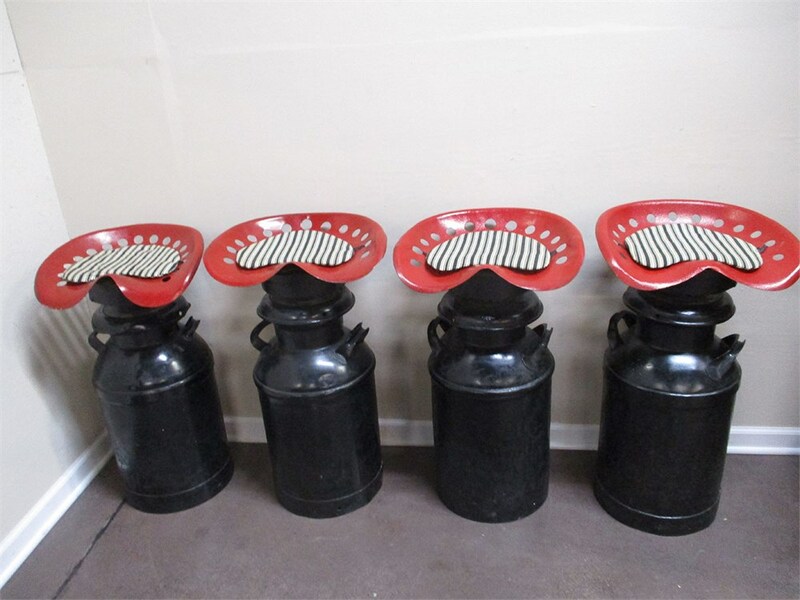 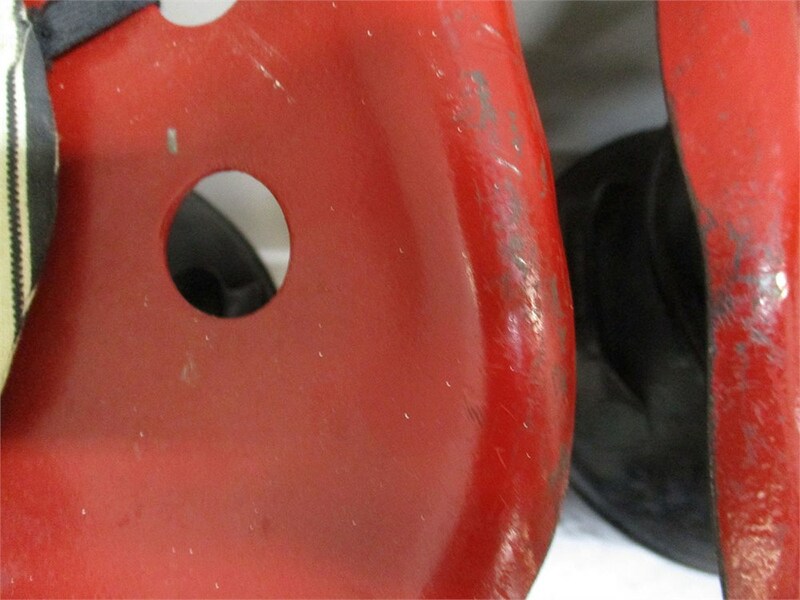 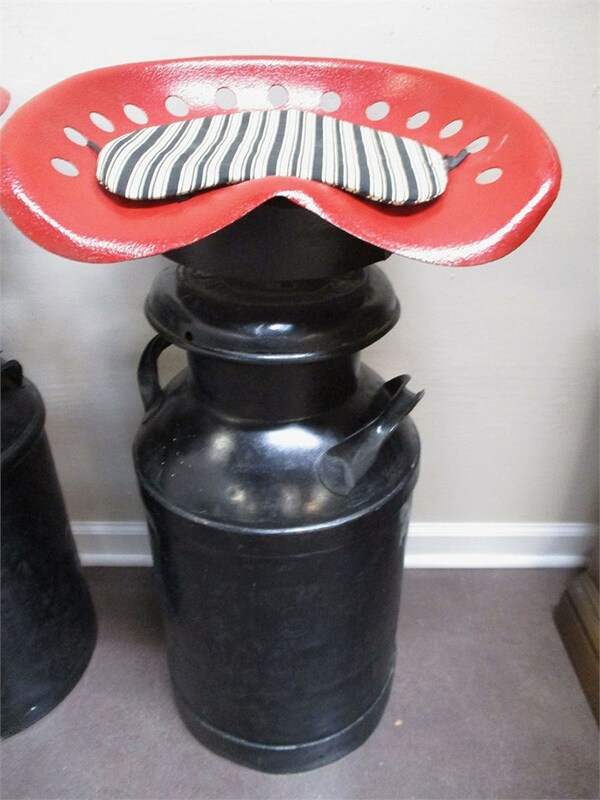 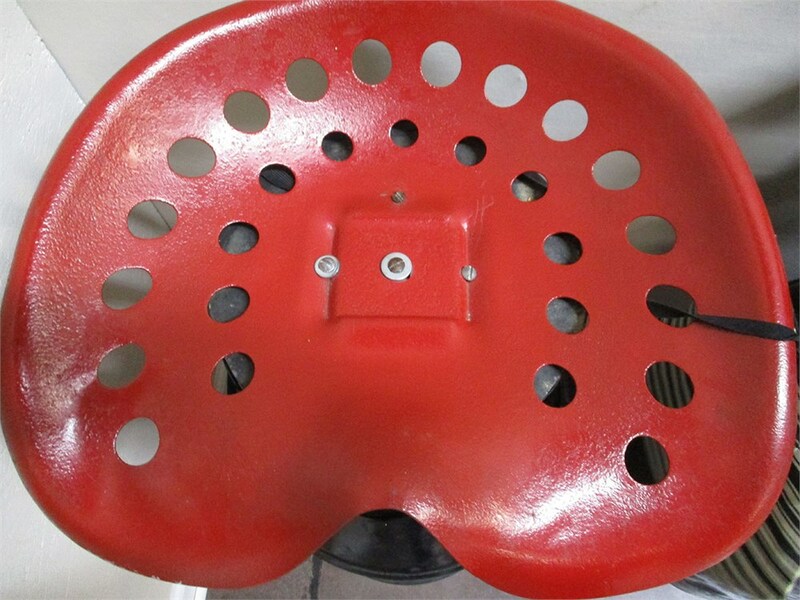 These bar stools are made from milk cans and have swiveling tractor seats on them. 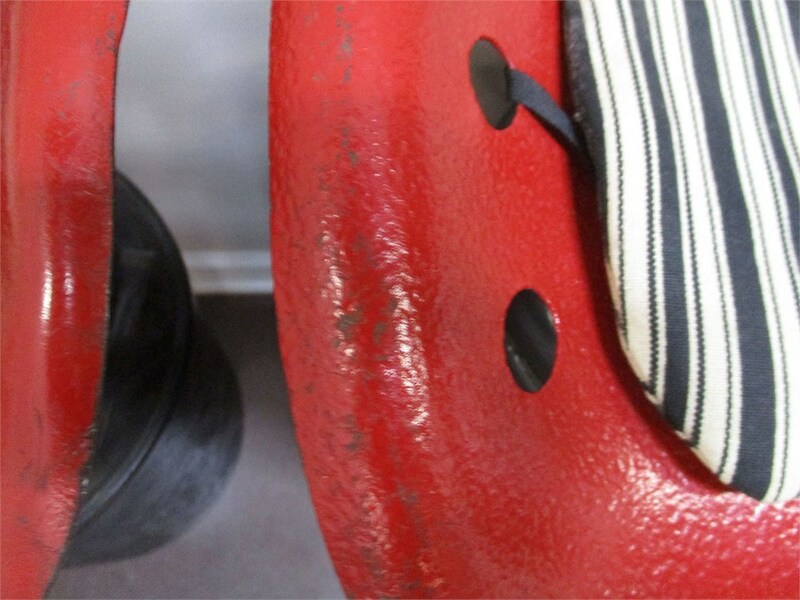 They show some wear, but are so cool!